We are excited to welcome Yemi Adewuyi to our team as the 2016-2017 Fletcher Fellow! Now in its third year, our fellowship program works to identify, develop, and network recent college graduates who aspire to be amongst the next generation of social sector leaders in North Carolina. Yemi, a recent graduate of Duke University, is a North Carolina transplant, having previously lived in Texas and New York. He received a bachelor’s degree in Public Policy Studies and was an Angier B. Duke Scholar. It’s clear, through his prior work and educational interests, that he has a deep interest in tackling social justice issues. His past experiences include traveling to South Africa and various parts of the American South to research comparative racial politics and internships with JusticeMatters, a legal clinic in Durham specializing in humanitarian immigration law, and DC Public Schools. As the School Research Partner for the Center for Child and Family Policy at the Sanford School of Public Policy, Yemi led focus groups and developed community empowerment strategies for families of children with learning differences in the Triangle Area. His year with Fletcher Foundation begins a career that he aspires to pursue at the intersection of research, community advocacy, and litigation. At the Foundation, Yemi will be leading ongoing special projects and working to amplify our grantees’ voice in public spaces, largely through creating digital content and producing our bi-weekly podcast series. In his free time, he enjoys making music, finding new books to read, and trying out new restaurants in Durham. 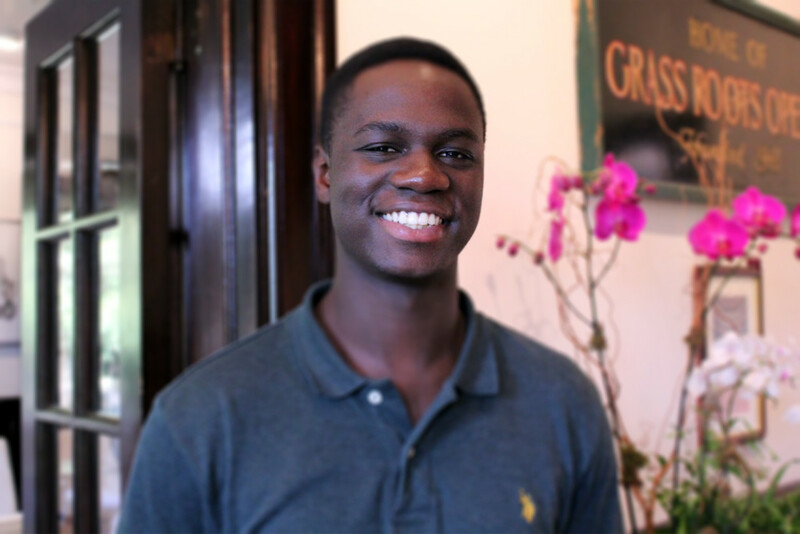 We’re so excited to have Yemi on our team and look forward to all of the ways he can play a supportive role to our community’s work while he gains invaluable insight on the social sector here in North Carolina. Welcome to the crew, Yemi!